A DIFFERENT VISION. A WILL TO SHARE OUR PASSION, BRINGING NEW CONSUMERS TO THE WORLD OF PORTUGUESE WINES. 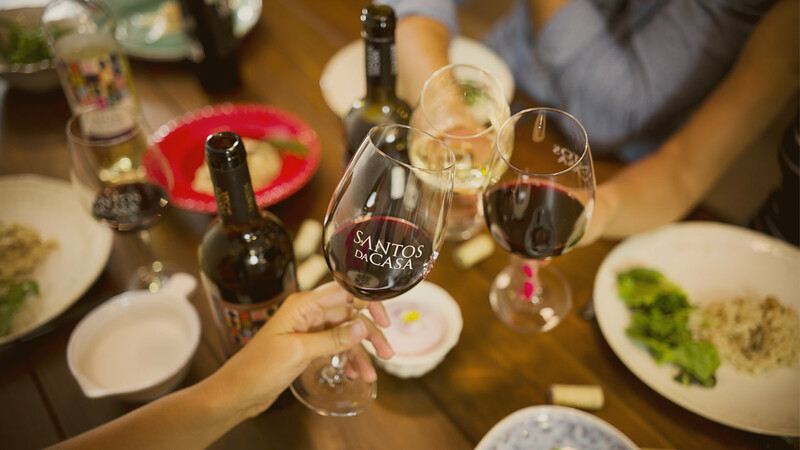 Santos da Casa wines take us to the most prestigious wine regions in Portugal grown by the most dedicated producers and passionate for the art of producing wine. The Rotas de Portugal wines challenge you to travel through the regions of Portugal.The tempting invitation to discover Portugal. Step into the world of Santos & Seixo to know all the news. Find out what's happening in our social media and follow closely our best moments.